Upgrade the plastic front bumper of your JK Wrangler with the OEM Steel Rubicon 10th Anniversary/Hard Rock Edition Front bumper. 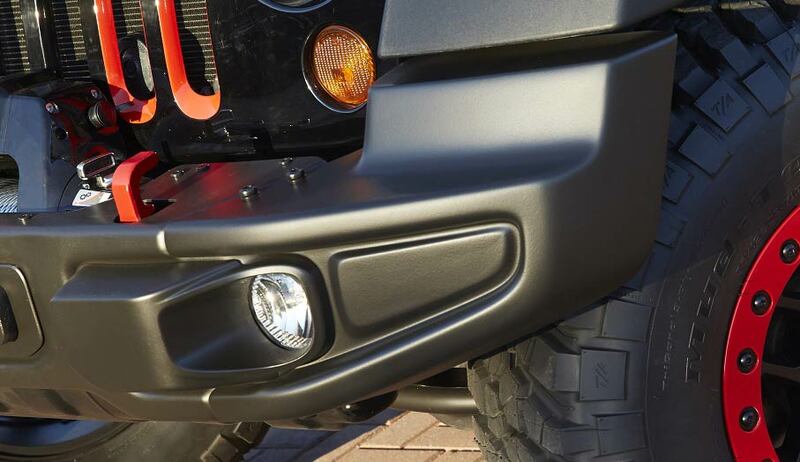 This bumper is loaded with options including removable end caps, fog lights specific to the bumper, red tow hooks and the ability to mount a recessed winch with a front cutout to accommodate either a hawse or roller-style fairlead. Winch mounting kit is available in the Accessories Tab above. When I was purchasing a 2015 Rubicon, I saw the Hard Rock Edition. Loved the extras with the exception of the non-functional hood and the lack of interior choices. Decided to buy a standard Rubicon and put some of those extras on my self....saving money off the MSRP of the Hard Rock. Front bumper arrived on time. Very heavy and well made compared to the stock plastic bumper. Easily bolted on with the only slightly difficult operation-fog lamp wiring harness had to be lengthened by 12" each side. Use 18 gauge wire with crimp connectors and wrap the extension with electrical tape, easy(or use the process in the instructions-soldering and heat shrink). Bumper comes with integrated fog lamps and the red tow hooks. End caps can be removed for rock crawling. ProsMuscular look, integrated well for winch, powder coated steel for durability, better looking than most 3rd party bumpers and meets the vehicle air bag requirements for safety. ConsSome will say pricey but preserves the Jeep standard appearance. Shipping is 120.00 due to weight. Sell your stock bumpers on Craig's list to help offset the cost(lots of people want them). You must buy a new skid plate that attaches to the bumper. 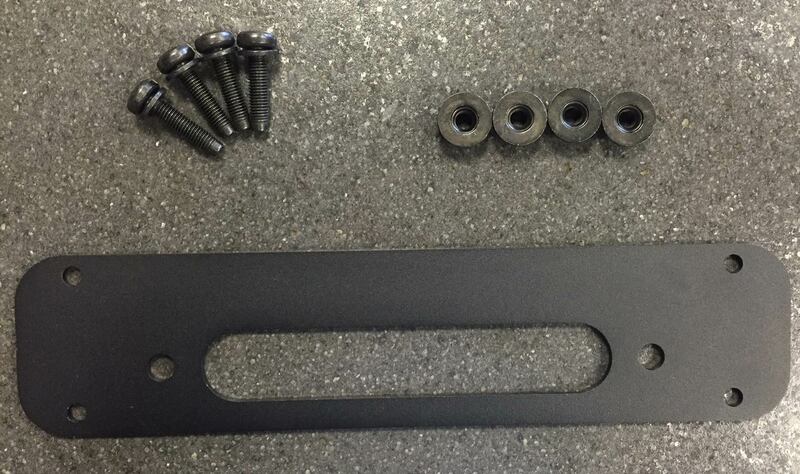 New skid plate is also metal compared to the plastic stock cover.